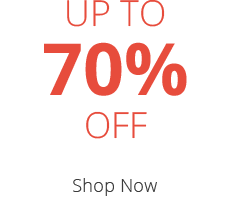 What is a Standard Sprung Mattress? 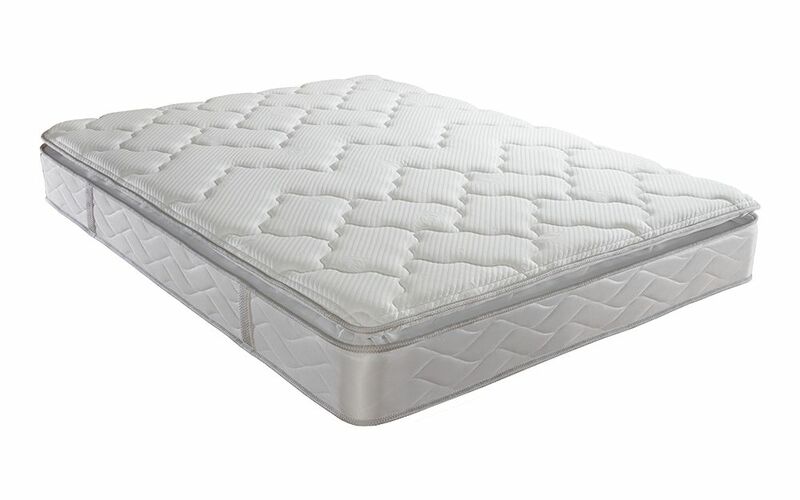 A standard sprung mattress is a mattress made with an open coil spring system. An open coil spring system features coils of high tensile steel, wound into hundreds of springs and connected by a wire rod edge to give a standard sprung mattress its shape and structure. These open coil springs run from side-to-side and are available in a range of tensions to offer different firmness ratings. The spring unit in a standard sprung mattress works to help evenly spread your body weight across the mattress and reduce the buildup of pressure points. Standard sprung mattresses have been around for over a century and remain one of the most popular mattress types available. 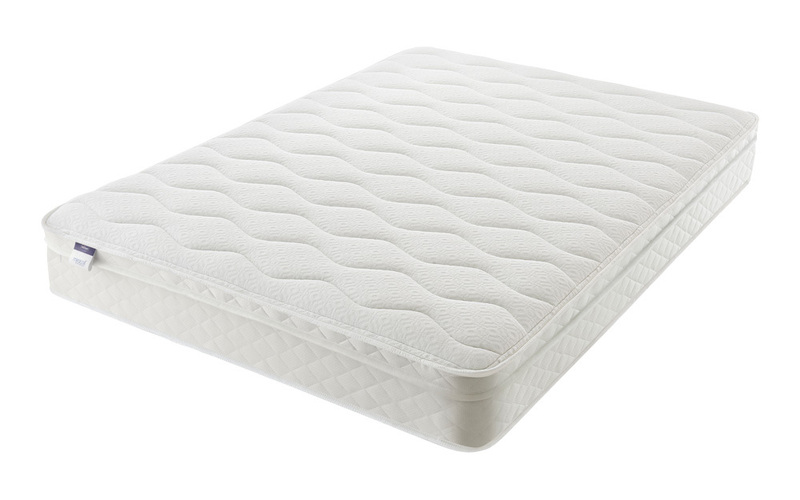 Standard sprung mattresses have remained popular for so long due to the benefits they offer. Read on to find out more. 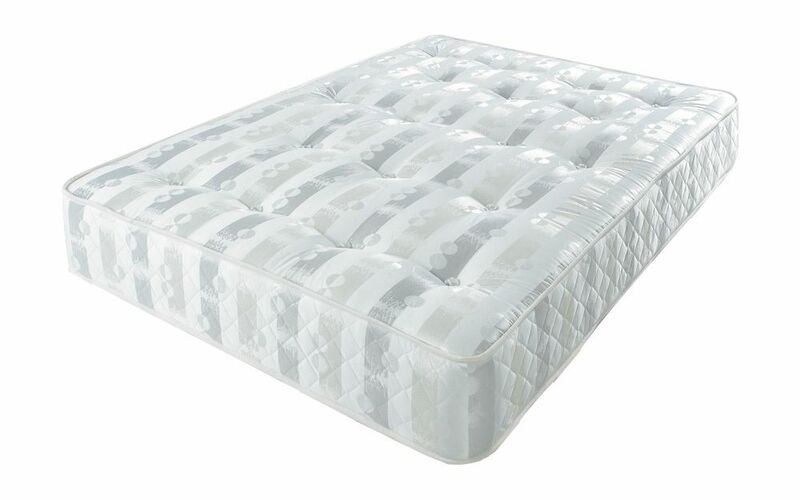 Standard sprung mattresses offer quality support at an affordable price. 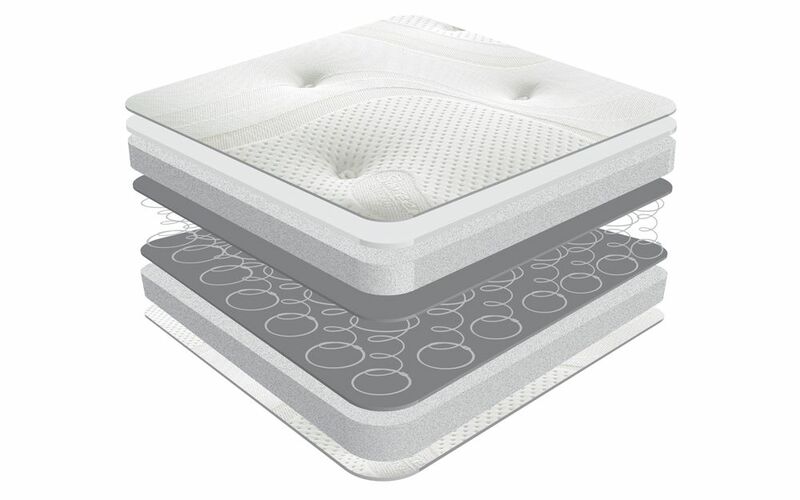 A standard sprung mattress offers great support and may be referred to as an orthopaedic mattress. Standard sprung mattresses are usually quite lightweight. This means that turning or flipping your mattress isn't such a strain on your back. What are the different names of a standard sprung mattress? Open coil is the main type of spring system used in our standard sprung mattresses. Two of our leading brands - Silentnight and Sealy - have put slight variations on an open coil spring system and given it their own branding. Read on to find out more about each system. Miracoil springs combine with different fillings to offer a range of firmness ratings. Check out our range of Miracoil spring mattresses to find the one ideal for you. Choose from our wide range of standard sprung Sealy mattresses. If you're not sure, feel free to give us a call! We are happy to offer support and guidance to find the right mattress for you. Is a standard sprung mattress right for me? Standard sprung mattresses offer excellent support, making them a great choice for all age and sizes. Read on to find out how a standard sprung mattress could benefit you. A standard sprung mattress offers brilliant pressure relief for your back and neck so they are a common spring system found in orthopaedic mattresses. Standard springs promote greater spinal alignment to help support your little one's growth. 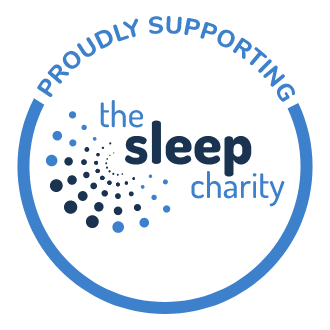 A standard sprung mattress will offer your guests a wonderful night's sleep at great value for money! Standard sprung or pocket sprung: what is the difference? Pocket sprung mattresses have grown in popularity over recent years. A pocket sprung system is manufactured in a different way to a standard sprung mattress and offers support that is more personalised to your body shape. Read on to find out how each spring system is different and how this affects the feel of your mattress. This is a spring unit made up of coils of steel and joined together by a wire rod edge. These mattresses are made up of individual springs wrapped in their own cloth sleeve and placed within a spring unit. Below is a table that summarises the difference between a standard sprung mattress and a pocket sprung mattress. Read more about how pocket sprung mattresses work by going to our page, what is a pocket sprung mattress?. If you still aren't sure which type of springs are right for you, get in touch! Our Customer Service team can offer support and advice to find the right mattress for you. 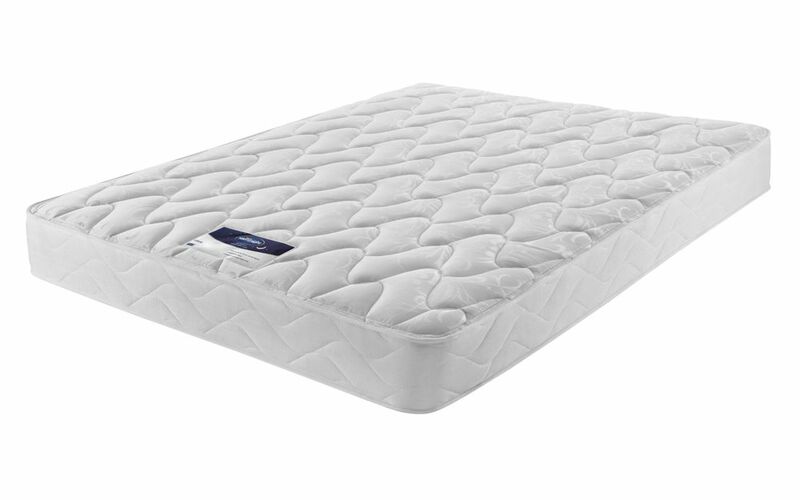 We have over 60 mattresses here at Mattress Online that feature a standard spring system. 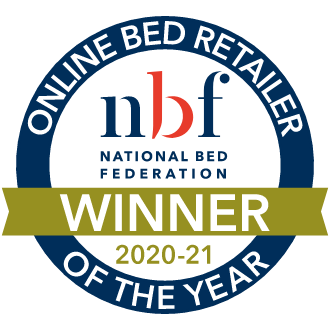 All of these mattresses offer something different so it is worth checking out our full range. Here are five of our most popular standard sprung mattresses. 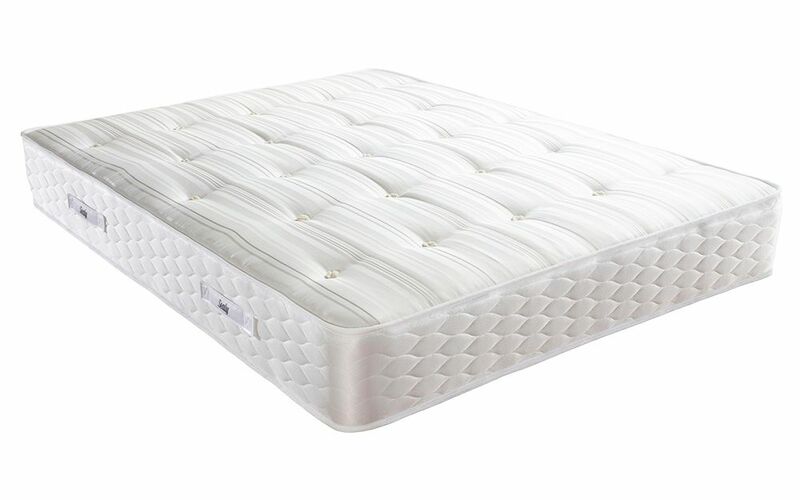 Standard sprung mattresses are highly popular due to their remarkable support and durability at an affordable price. Silentnight's Miracoil and Sealy's Posturepedic spring systems are two high-tech versions of standard springs that have helped the standard sprung mattress remain so popular.